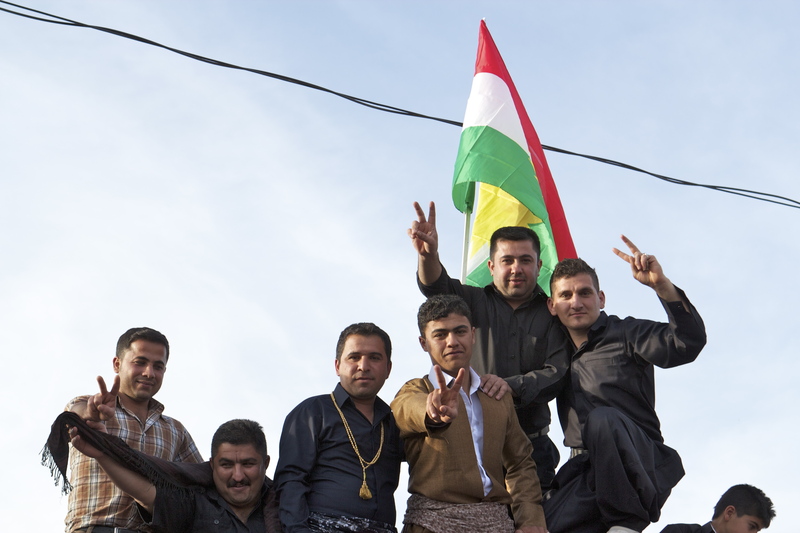 We just finished celebrating our second Kurdish New Year—or Newroz—here in Iraqi Kurdistan, and it was a great time! 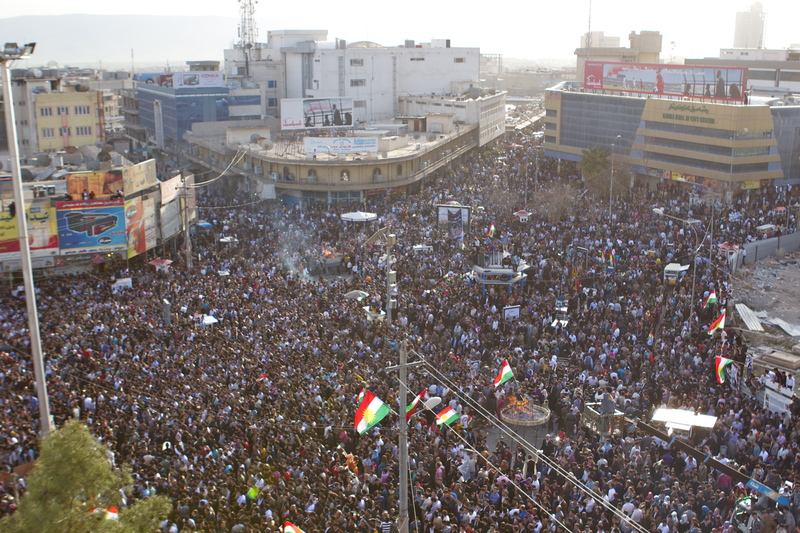 If you were around for last year’s Newroz, you may remember that we had just arrived and some big-time protests were happening. But this year was much less political (though still hectic), and it was cool to see many friendly faces in the crowd. Over the past 12 months God has blessed us with some incredible new friends; Arabs, Kurds, devout Muslims, local Christians, and the list goes on. This city is a lot more eclectic than I realized, and it’s been a major blessing to be a part of it. 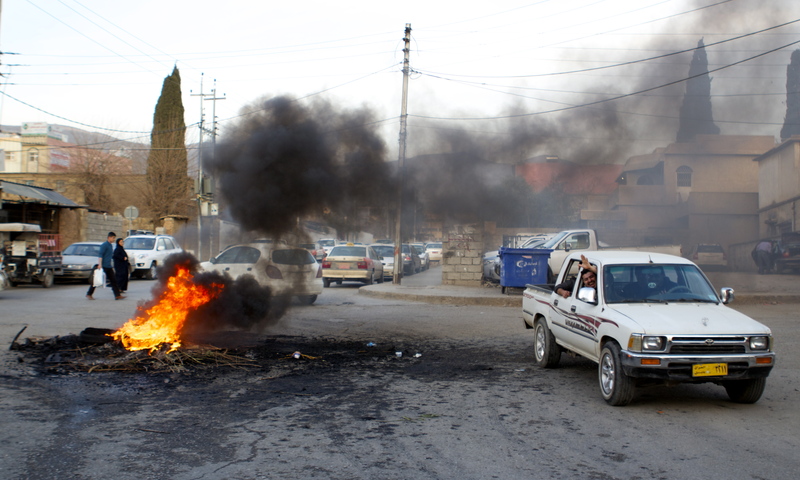 This week is Newroz (now-rose) for the Kurdish people, and it’s been quite the occasion. I’m glad our friends here encouraged us to move over here in time for the beginning of spring and Newroz. I think the beginning of spring is a beautiful time to have a new years celebration since everything actually feels new. 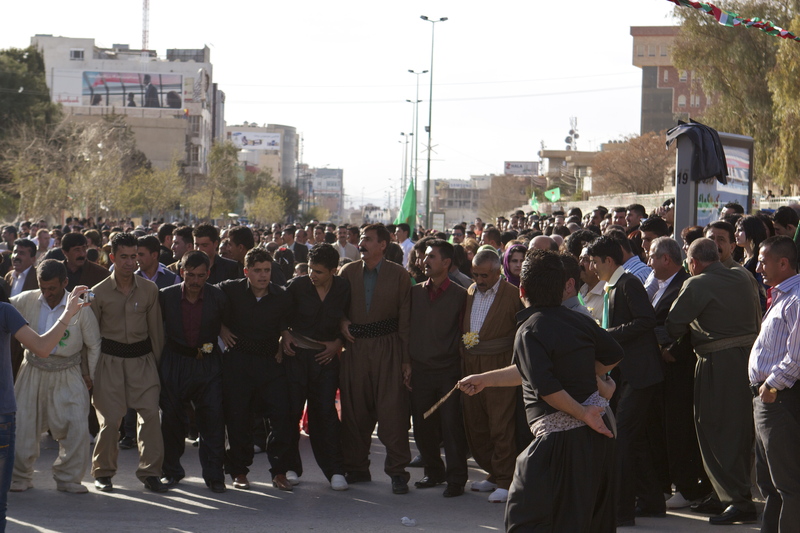 Logical points to the Kurds for not putting their new years in the middle of winter. I started my walk on the main road near our house. People were saying there’d be a big ‘parade’ happening on the road, but I was surprised at how small the crowds actually were. So I hopped a cab and headed for the bazaar in hopes of finding a larger crowd. I succeeded. I elbowed my way to the roof of a nearby hotel to snap a few shots of the masses. 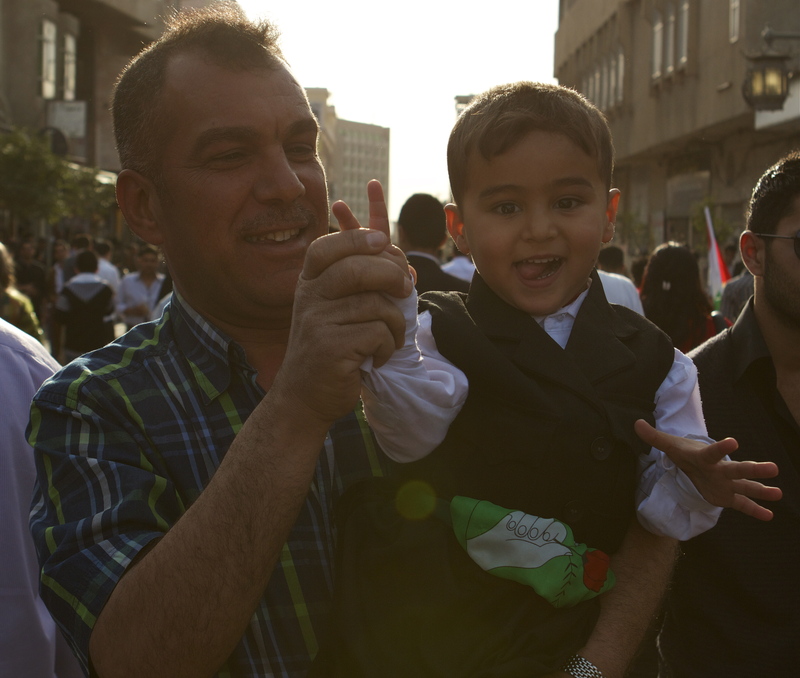 This father stopped me and requested that I take a picture of his son. The kid was really cute. Pretty sure they thought this picture would end up on the cover of some newspaper, cuz they begged me to take it. I finally got sick of people accosting me for pictures and ducked down a nearby side street. I walked for awhile before finding a little boy building his own personal bonfire in the middle of a busy intersection. This is what I mean by celebration/protestation. To an outsider like me, a fire like this seems pretty far removed from anything resembling a celebration. Sometimes protests and celebrations really do seem indistinguishable (though certainly extinguishable, har har!). 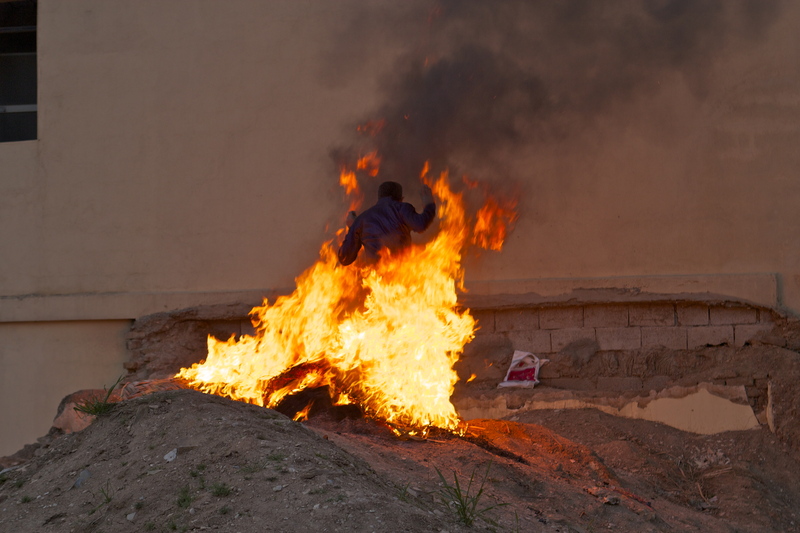 A little further down the road and I found a severely eccentric man building a fire, giggling to himself and smoking cigarettes while jumping through the flames. He held his cigarettes in his hand the entire time. Not sure what compelled him to do this, but the pictures turned out pretty cool. The last picture I took on my walk. She was so cute in her traditional Kurdish "Gili Kurdi!" 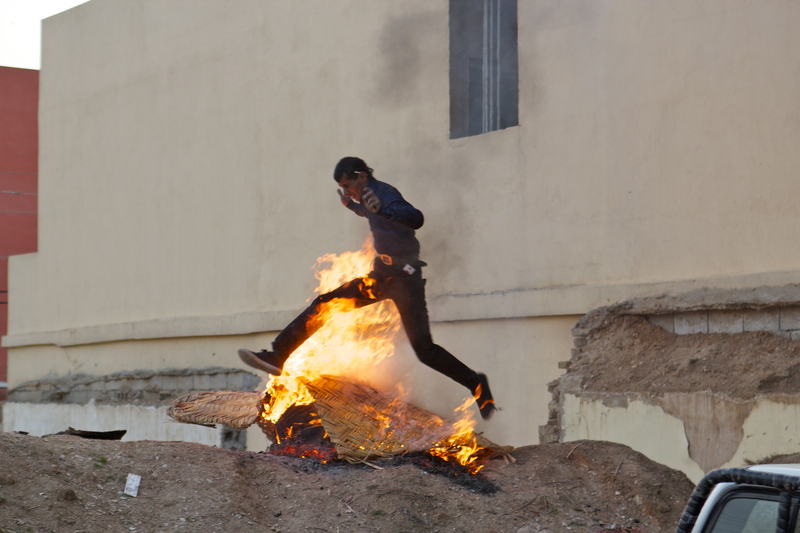 For more pictures from our first Newroz, check out our Flickr stream here.